One of my favorite finishes from 2015 is this Moroccan Tile quilt using the Oh Clementine! Fabric by Allison Harris (Cluck Cluck Sew). The Oh Clementine fabric was one that I fell in love with, and searched for the perfect project to use it in. The cheery color combo just makes me so happy! The Moroccan Tile quilt pattern is from the book Fabulously Fast Quilts by my friend, Amy Smart. 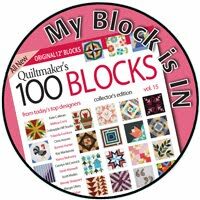 This book has some great quilts in it - all of which really are fast to make because Amy shows you shortcuts and tricks to speed up the piecing process. 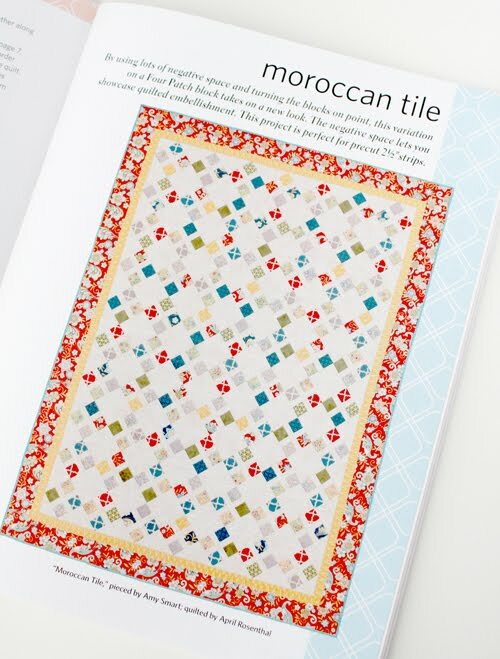 The Moroccan Tile quilt (on the cover) is by far my favorite quilt in the book. For some reason lately I've just really been in love with quilts that are on point! Amy has generously given a copy of her book for me to give away to one of my readers! To enter the giveaway leave a comment below before midnight on Sunday, January 17th. I'll announce the winner on Monday, Jan 18th. Such a lovely quilt! I really like the fabric you used! Thanks for the review on this book, I've glanced at it before and love the quilt on the cover. Your version is gorgeous. 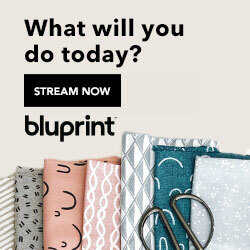 Love your quilt and the fabric you used in it. That fabric is one of my favorite too. Amy's book is a treasure and I have made two quilts from her patterns in the book. I was just getting ready to sew another - Thank you for your review on this beautiful pattern. Beautiful quilt! And thanks for the review! Love your quilt! The colors really pop. Pretty quilt, love the fabric, thanks for the give away? Ooh, I do love the colors in that quilt too! Thanks for sharing and thanks for the chance! 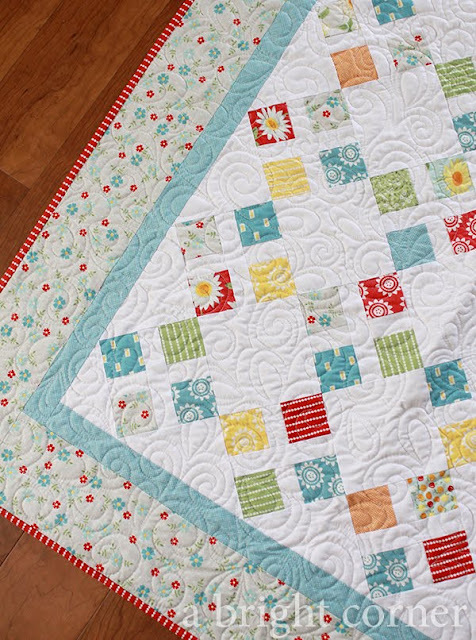 i totally agree with you that the Oh Clementine collection was a perfect choice for this quilt! It's a beauty! I love to make quilts that are fast, but don't "look" like it....this book would be great to own. Oh, I remember seeing that on her blog and liking it, and now I love your cheery version! That does look fun to make :D Thanks for hosting the giveaway. Love your quilt! Thanks for the chance! I love the name of this quilt, and of course the quilt! You did such a fabulous job from fabric choice to the quilting! 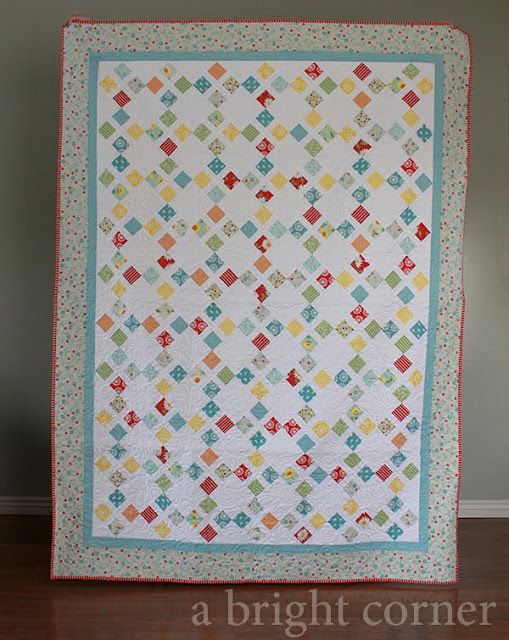 I am in love with this quilt and the fabrics you used! It is fun but peaceful to me. wow... the quilt caught my eye and I sure was not thinking it was a fast one... Thanks for a chance to try it out. I love the colors and the crisp lines. Looks like a good book. 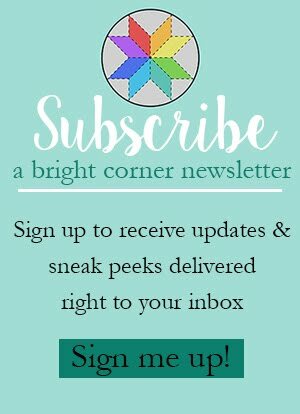 I do follow Amy's blog. A beautiful color palate. I love the clean, orderly arrangement... and it is fast too! Gorgeous quilt!!! Thank you for chance to win this Awesome book!! Would love to win the book. I love the quilt and the colors. I love your quilt... The pattern is awesome and the fabric collection is lovely!! Thanks for the opportunity! Beautiful quilt!! What a super lovely giveaway, I'd la la LOVE to win and use this! How gorgeous! I would love this book. Thank you for the wonderful giveaway. Your Moroccan Tile (Clementine) Quilt is lovely! Amy Smart's book, Fabulously Fast Quilts, has been on my wish list for a while now. I would LOOOVE to win a copy in your giveaway! Thank you for the opportunity. I like blocks on point too but sometimes I have to stand way back to put them together right or sleep for an evening and try again in the morning. Thank you for the chance to win the giveaway. Thank you for allowing us to have a chance to have this book. Such a darling quilt! I have wanted this book since I first saw it. Thanks for the chance to win. Your quilt is wonderful, this looks like a great book. Very pretty quilt! I love quilt books. Thanks for the sweet giveaway. 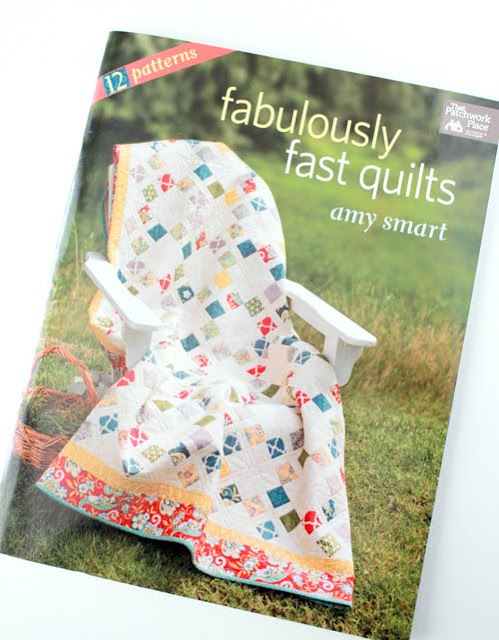 Fast Quilts looks like a great book. Thanks. This is a cute quilt. Love the color combo. I love quilts that resemble tiles, and I'm a big fan of "Cluck, Cluck Sew", and Amy Smart--and you, too--so this quilt is a huge hit for me! Thanks for the chance to enter, and perhaps make a quilt of my own. I'm composing my list for the year, and I think I need to add a Moroccan tile quilt to it. What a cheerful quilt! I'd love to win the book. Thanks for the chance. Lovely quilt. These fabrics are perfect for this quilt. Thanks for the chance to win this fantastic book. That looks like a real fun quilt book. Would love to win. Nancy P.
Wonderful quilt. I'd love to win this book. Pretty quilt. This book has been on my "To Buy" forever. Thanks for the chance to win. Lovely pattern & color choices. Would be very happy to have this book. Gorgeous quilt! I would love to win the book. Love your post and always look forward to reading them! 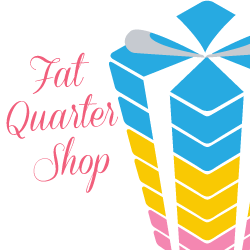 I meet with a group of quilters that includes a couple of beginners. This book looks perfect to use to help them expand their skills. Blocks on-point usually deter me from making the quilt. I'm not fond of triangles in the corners. I do enjoy Amy's creative ideas, however, and your quilt looks great!! The book might change my mind about blocks on-point. Thanks for a chance in the giveaway. This is a book I've had my eye on! Thanks for the giveaway! This looks a great book - I'd love to win a copy!! I love the simple elegance of this quilt. I love your work. It is absolutely beautiful. I love the design and the love that comes from the quilt. I love your style and often find myself turning to you for inspiration. I am finally finishing a spring table runner I bought two years ago! Thanks for being so prolific, you inspire me! The quilt is just beautiful!! I love on-point, too. I'd love to try Alison's book! Lovely quilt! I'd love a copy of this book! Very beautiful quilt, and love the colours. And a lovely book that would be great to win. Love your quilt, great colors and quilting. Thanks for the book giveaway! This would be a great book to own! 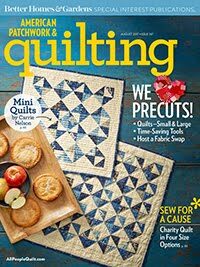 I've just started quilting and this has some amazing quilts I would love to try! This looks like a great book to get some great ideas. 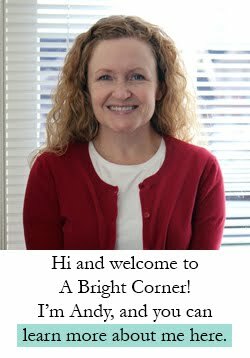 I follow Amy's blog too! Your quilt is beautiful! Great Work!! I would love to make a version of this amazing quilt myself! Beautiful quilt. I would love to look through all of the patterns in the book. The quilt is very bright and fresh. Feels kind of springy to me! The quilt is just stunning.Love your fabric combo! I love the quilting and the colors. Beautiful add always Andy! Your quilt is beautiful and the workmanship is top notch! Thank you for sharing such inspiring work. Your quilt came out fantabulous! The quilting on it is perfect. It looks like a fun book. Beautiful! I love the fabrics for this pattern! So light and airy! Oh this would be a lovely resource! thank you! This quilt looks amazing! Quilts are always so comfortable. My mother in law loves making quilts. She would appreciate this book so much. 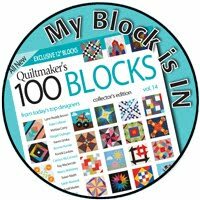 i love quilts, i would love to win this book. Love on point quilts also! this would be perfect with some American Jane or my old Christmas grunge! Thanks for the giveaway! What a beautiful quilt. I would love to make one so I'd love to win this book and find out how. I've just retired and will now have time to quilt. This book would be perfect for me to learn from. Very pretty, thank you for the chance to win! Such a great book! Thanks for the chance. What a beautiful quilt. I love fast quilts!